UNITED NATIONS, May 12, updated -- With Afghan President Hamid Karzai in Washington to meet with Barack Obama today, it's not only the US that's making nice: the UN is following suit, abdicating even on human rights to both the US military and Karzai government. In most countries where the UN has a presence, particularly a Mission like it has in Afghanistan, it claims to monitor human rights violations. So for example, if only to burnish its credibility, the UN Mission under both Kai Eide and now Staffan de Mistura has issued press releases criticizing killings of civilians by the US and ISAF, when the numbers are too high. But when Inner City Press asked the UN on May 11, with Karzai in the US, about reports of a "black prison" on the Bagram base, UN spokesman Martin Nesirky replied "this is a United States base; it’s for the United States to comment on." 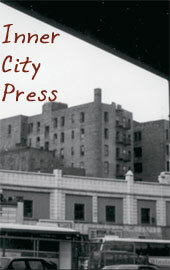 Inner City Press asked, "Does UNAMA have any human rights component? Doesn’t the UN have some role, where it has a peacekeeping mission, to investigate claims like this?" Nesirky said, "The UN’s mandate there is very clear and this particular story... this is something that you can clearly ask the US." But it's not about asking, it's a question of what the UN is going to do. Does it just sit in a country, see reports of human rights violations, and do nothing? In Sudan, for example, while the UN actually does very little to stop the killing, it does speak about it a lot. But the UN dares not criticize the US -- or for that matter China or other Permanent Five members of the Security Council who could veto a second Ban Ki-moon term. Nor is the UN clear about money it's said to offer. A week after the UN flip flopped on whether it would offer aid to the interim government in Kyrgyzstan -- at first no, then ostensibly yes, which upon inquiry was simply a quantification of aid already being given -- Inner City Press asked how much the UN will devote to the upcoming Afghan parliamentary election. 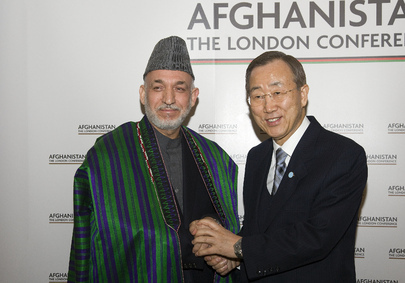 Karzai's fraud addled election cost the UN quite a bit. 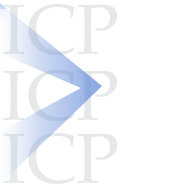 Inner City Press: it’s reported that the upcoming parliamentary elections there; this IEC [Independent Election Commission] official, Zakaria Barakzai, has said that the UN will make up a funding shortfall of some $40 million. Is that the case? What is going to be the UN’s financial contribution or activity in connection with that election? Spokesperson Nesirky: We need to find out the exact numbers for you, if you’re giving me numbers like this. I am not familiar with those. I would need to find out. Inner City Press: Also it’s reported, including by the UN’s own ReliefWeb, that the Afghan Government has cancelled the licences of 172 non-governmental organizations, including 20 international NGOs. I’m wondering if the UN, as it did in Sudan, for example, has any comment on this cancelling of licences of NGOs. Spokesperson: This is something that our colleagues in Kabul are probably very familiar with. I have not heard; my colleagues here in New York have not heard any particular word from the Mission there. If we have something, then we will obviously let you know. Inner City Press: There is also a report today that, both by the BBC and the Red Cross, of the discovery of a black jail; i.e., an unreported interrogation centre on the Bagram Air Force Base that the United States runs in Afghanistan. I wonder if it’s, if that is anything that the UNAMA [United Nations Assistance Mission for Afghanistan] or its human rights component has ever heard of? Do they intend to investigate it? Do they have any comment on it? Spokesperson: That’s something for the United States. This is a United States base; it’s for the United States to comment on. We’ve seen the reports. Question: Does UNAMA have any human rights component? Doesn’t the UN have some role, where it has a peacekeeping mission, to investigate claims like this? Spokesperson: The UN’s mandate there is very clear and this particular story — obviously we’ve seen that story on the BBC. This is something that you can clearly ask the US. But the US Misison to the UN hasn't even answer a question posed on the morning of May 11, 24 hours later. Watch this site. We have some answers from UNAMA concerning your recent questions at the noon briefing about Afghanistan. Concerning the financing of the Afghan elections: It is not correct that the UN funds elections in Afghanistan. Rather, Staffan de Mistura has asked donors to release funds to support Afghanistan's electoral bodies for the upcoming elections. The UN will work on mobilizing funds to fill the gap. Concerning the licensing of NGOs: The UN Mission (UNAMA) and Office for the Coordination of Humanitarian Affairs (OCHA) are looking into it further but have no comment at this time. It does not seem to affect any NGOs working with UN. Concerning reports about a secret prison facility at Bagram, UNAMA has no independent information on this report. 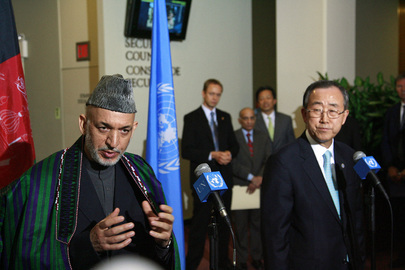 UNITED NATIONS, May 9 -- An inconvenient death casts a shadow, at least for some, over this week's visit to the U.S. by Afghan President Hamid Karzai, and over the UN. 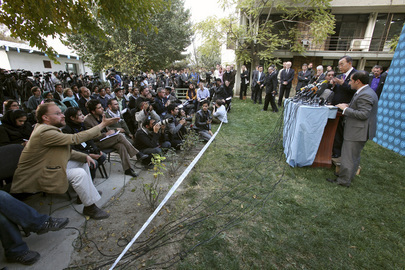 The murder of American UN staffer Louis Maxwell in October 2009, following an attack on a UN guesthouse of international elections workers in Kabul, has belatedly been described by the UN as "friendly fire." But a cell phone video suggests, and Mr. Maxwell's sister among others believes, that Maxwell was summarily executed by Afghan National forces after the firefight was over. The UN never retracted its version, that Maxwell and four other UN staff were all killed by the Taliban, until the video became public and questions became to be asked, including by Inner City Press. Maxwell's sister over the weekend wrote to Inner City Press for a third time, now putting into words the doubt that the Taliban were (solely) responsible for the attack on the UN guesthouse. She focuses on the conflict of interest the UN has, in confining itself to an internal investigation -- which it described as external and independent -- and then refusing to release a copy of its report, even to the family. * Around October 20, 2009, Kai Eide the top UN official of the mission affirmed that the August 20 elections had been tainted. It was stated that about one to five of the votes should be discounted and that most of the election fraud came from Karzai supporters. * On October 28 the UN guesthouse was attacked. The same guesthouse where UN monitors for this same election was staying. * After the attack it is stated by top UN officials that senior afghan officials were uncooperative in providing information and that they(UN) were completely stonewalled. * On November 7 Karzai is declared president. In it, she states that it was only in March when the UN told Maxwell's mother that his murder was caught on video tape. Of the tape, she notes as Inner City Press did that as Maxwell is shot and killed, the Afghan National forces next to him do not flinch or look up. Maxwell was executed, but as a cover up the UN is declaring that he was shot at long range, and that it was the long range shot that killed him. Despite Maxwell's own sister's request, the UN has not released any part of its Board of Inquiry report. His sister writes, if a "US soldier had done what they did to by brother that US soldier would have been court martialed." Question: And on Afghanistan, Louis Maxwell’s sister has contacted me with some concerns about the investigation and the report, among others, saying and I just would like, I understand, I guess you’re not going to release the report, but maybe you can find out if this is the case of not. She contends that, in the fire-fight and afterwards, among other things, he was wearing shorts, which she thinks is inconsistent with him being mistaken as one of these attackers. She also says… It was unclear to me given the statements made from her of how much the UN is briefing Mr. Maxwell’s family. Does that include this sister, Ms. Muhammad? Because she is somehow not convinced by the reports. Spokesperson: I don’t have here and now a list of the family members who have been briefed. I do know, and you also heard Ms. [Susana] Malcorra say that the family members have been briefed regularly throughout. Not just briefed, but supported, and spoken to, visited regularly, throughout this. As I say, precisely who, I do not know. So, we’d need to find out. I don’t know the answer to that right now. Thank you for writing back to me and posing the question(s) to the UN... My brother has on either dark blue or black shorts. As a matter of fact he was wounded by the humvee and on all four when he is trying to stand back up his when he is shot. He was not in high ready mode but in low ready mode. His gun was not even drawn. I can even accept the fact of friendly fire for wounding him but his death I saw is murder. 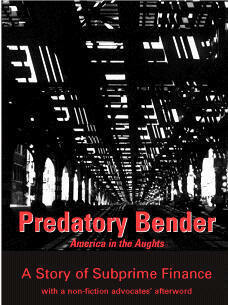 If a US soldier had done what they did to by brother that US soldier would have been court martialed. Ms. Ellen Murphy who just retired from the UN, I must say has been the one who really stays in contact with my mother. They have only made one additional visit besides the funeral to see my parents and that was back in March when we were told about the fact there was a video showing my brother's death. Ms. Susana Malcorra just made contact with my mother in April. At the UN's May 7 noon briefing, Inner City Press asked UN spokesman Martin Nesirky to confirm or deny that the UN had delayed from at latest January until March in informing Mr. Maxwell's family about the video of his murder, and to explain it. Watch this site.